CEBU CITY—President-elect Rodrigo Duterte last 26 June 2016 reiterated at a victory party in this city that he was going to order the killing of pushers. In a 42-minute address, Incoming President Rodrigo Duterte told the audience of about 10,000 that he could not take all pushers and addicts off the streets and put them in jail or rehabilitation centers. Also Read: P02 COP OWNS A HOUSE THAT FITS FOR A GENERAL, P7M CASH FOUND IN HIS "CAJA DE YERO"
“Now I see children as young as one year old, 12 years old, being raped and dumped. I have a grandchild, can I be assured my grandchild will not become an addict? 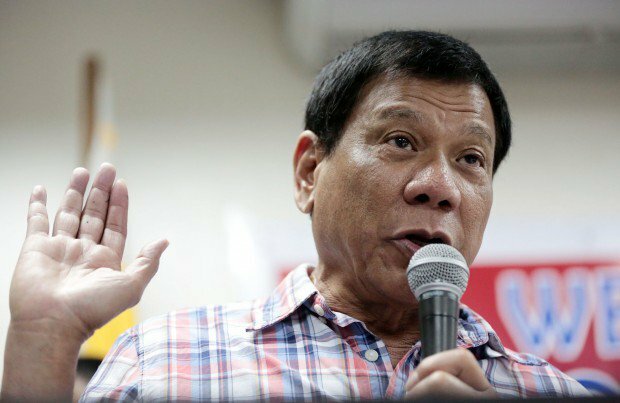 Can I really prevent things from happening if I am no longer around to prevent it,” Duterte added. Killing was not right but he wished to be honest about how he wanted to address the problem of illegal drugs, Duterte said. “This is why I am very mad, this is why I want to ensure this next generation, this is why I can’t make you understand, if I can’t ask you, I will really kill you,” he said in Cebuano. Duterte arrived here just after 05:00PM last Saturday, 25 June 2016 to attend the wedding of a businessman-friend’s daughter at Shangri-La’s Mactan Island Resort and Spa in Lapu-Lapu City. He arrived at the Sugbo Grounds at the South Road Properties past 10:00PM and he spoke to the crowd about an hour later. He left after midnight, taking a private plane back to Davao City. His speech to his supporters, peppered with his trademark cuss words, focused on his plans for solving the problems of illegal drugs and corruption plaguing the country. Rodrigo Duterte said that the PDEA Philippine Drug Enforcement Agency had told him there were more than three million addicts all over the country.